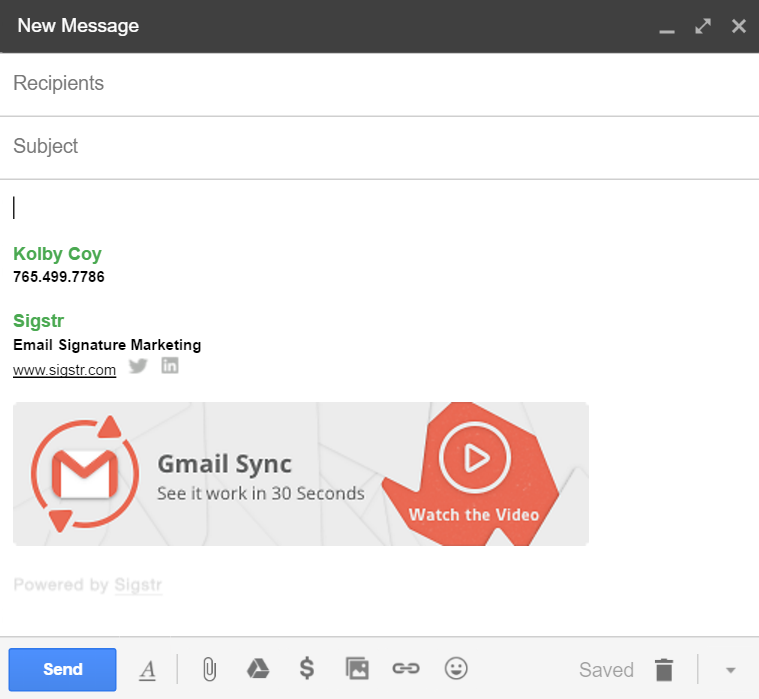 Sigstr’s Gmail Signature Sync pushes Sigstr content straight to users on your G Suite domain. The integration gives you complete control over employee email signatures to ensure 100% adoption. The steps below outline the signature syncing process. Please note that you must enable the G Suite Integration before you can sync signatures. 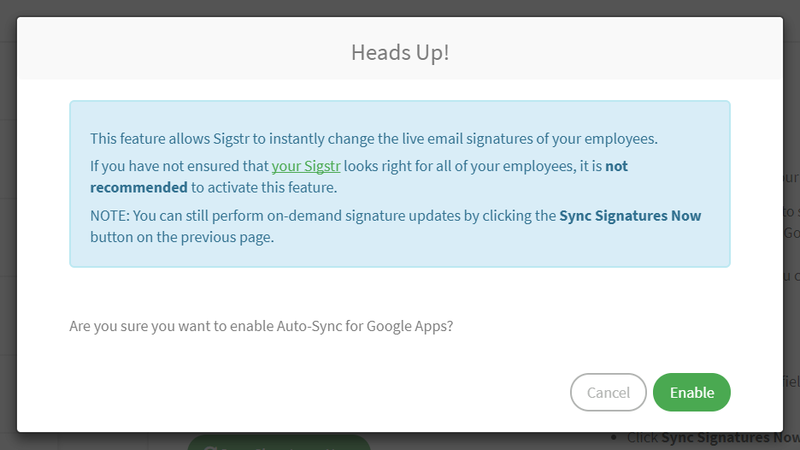 From the Integrations page, click Sync Signatures Now to push your Sigstr content to end users. The sync only affects users who are already provisioned in Sigstr. By enabling Auto-Sync, you can instantly push out changes to G Suite users whenever content is updated in Sigstr. Any changes you make to your signature template will be executed in real time. After refreshing their browsers, users will be able to see new Sigstr content in their signature settings.